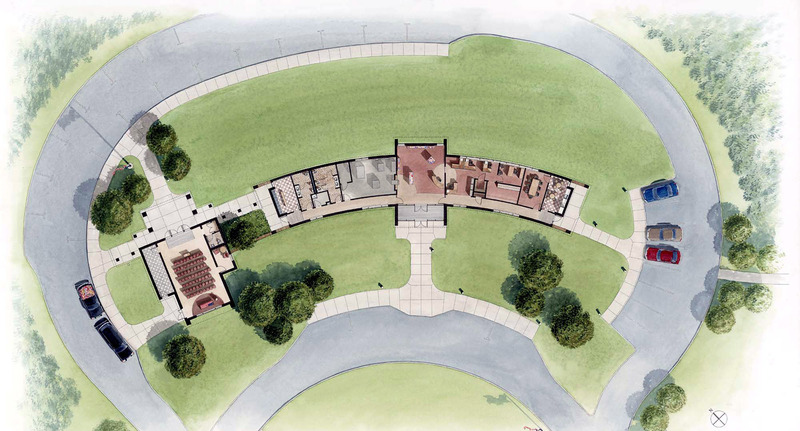 Funded under the Veterans Administration State Cemetery Granite Program, the Massachusetts Veterans’ Memorial Cemetery will accommodate an anticipated 40-year burial program. The 17-acre cemetery was constructed in the rolling hills of northern Massachusetts on a site dominated by an upland pine/oak forest, edged by wetlands extending to the Millers River and underlain with 2-yard boulders and coarse sandy soils. As the prime consultant, CRJA-IBI Group managed an extensive sub-consultant team, including architects and structural engineers, geotechnical engineers, electrical engineers, wetland scientists, civil engineers, cost estimators, and an irrigation consultant. Commencing in the summer of 2001, CRJA-IBI Group has provided continued and periodic consulting services to both the Commonwealth’s construction agency, the Massachusetts Division of Capital Asset Management and the management agency, the Massachusetts Department of Veterans’ Services. 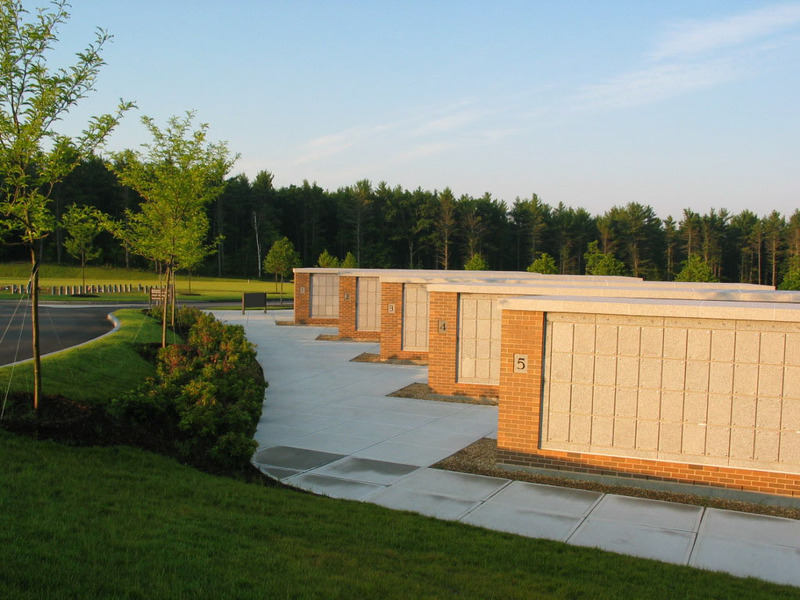 CRJA-IBI Group has provided services at both the Winchendon and Agawam veterans’ cemeteries, with continued consulting for sustainable irrigation feasibility design, pavement improvements, funding analysis and new columbarium plazas. 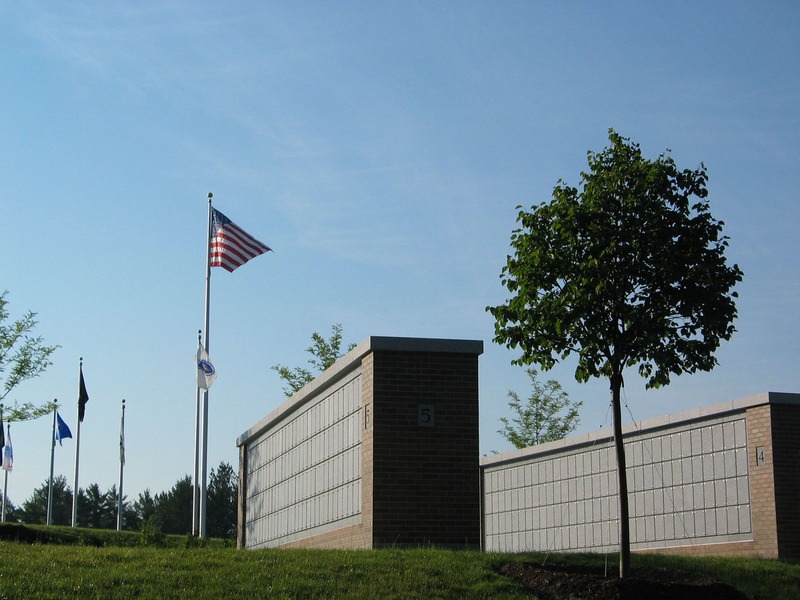 For the Winchendon facility, CRJA-IBI Group was responsible for all schematic and design development services, construction documentation, bidding, and construction phase services. Landscape and architectural improvements to the undeveloped site included access roadways, landform grading and design, preplaced crypt gravesites, in-ground garden niches, columbarium walls, soils design and management, plantings, irrigation, signage and all site furnishings. Phase 1 construction included an Administration Building, a Chapel, Maintenance Building and all support infrastructure. Phase 1 was followed by a state-funded expansion project.